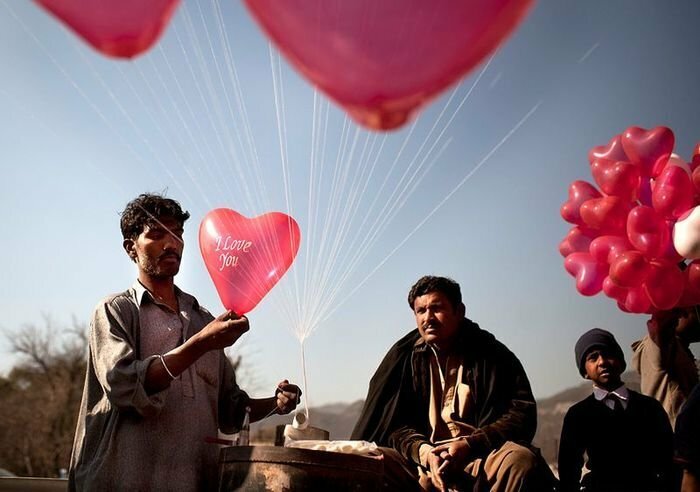 The most common story about the origin of Valentine’s Day tells that back in 3rd century there was a priest. His name was Saint Valentine. Back in his times, the King had made a law that soldiers cannot marry because he thought that single soldiers were better than those who had wives and children. Saint Valentine used to carry out the weddings of young soldiers to the women they loved. King found out about his actions and ordered to execute him. Before execution, Saint Valentine wrote last letter to his spouse. 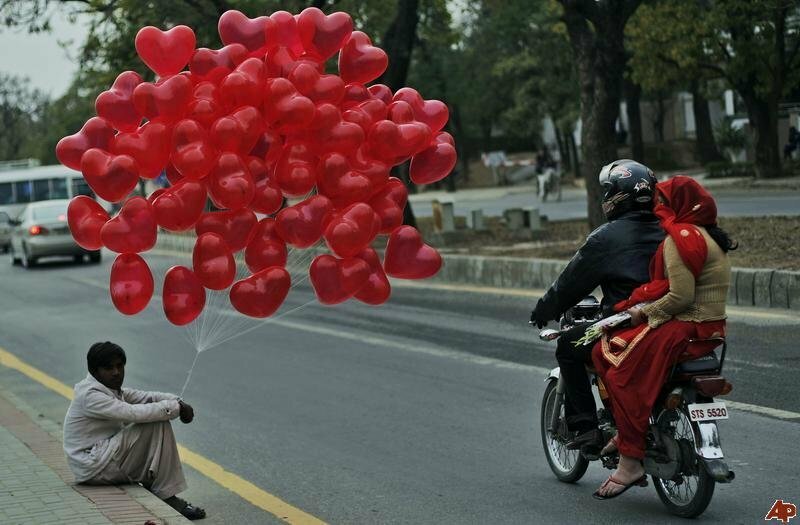 He wrote “Your Valentine”. 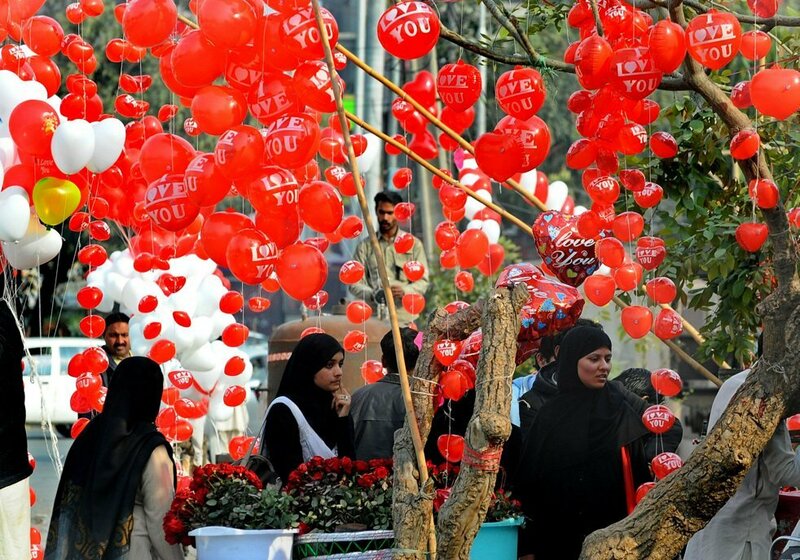 This day is celebrated as Valentine’s Day throughout the world on February 14th. 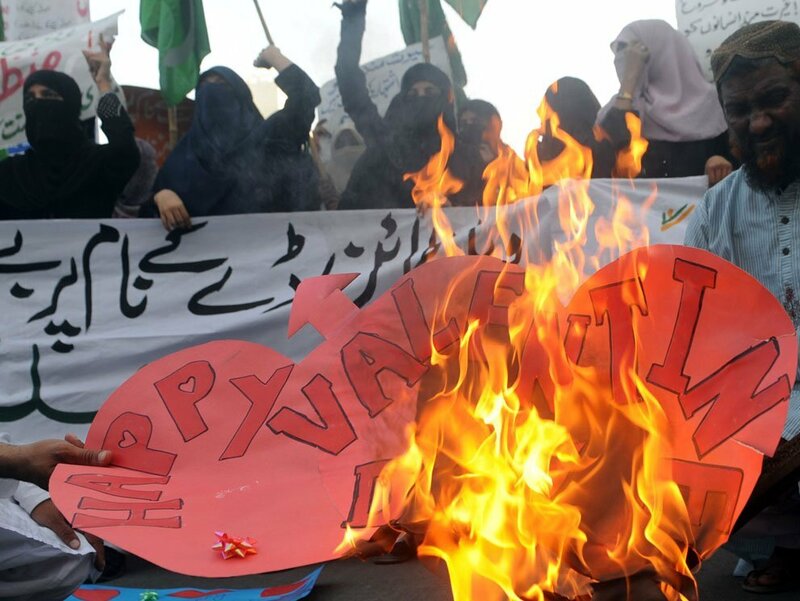 Some people will celebrate Valentine’s Day in Pakistan on Friday 14th of February 2014 with flowers, balloons and will send greeting cards full of love to each other while others will denounce the day by stating that it is an insult to Islam. 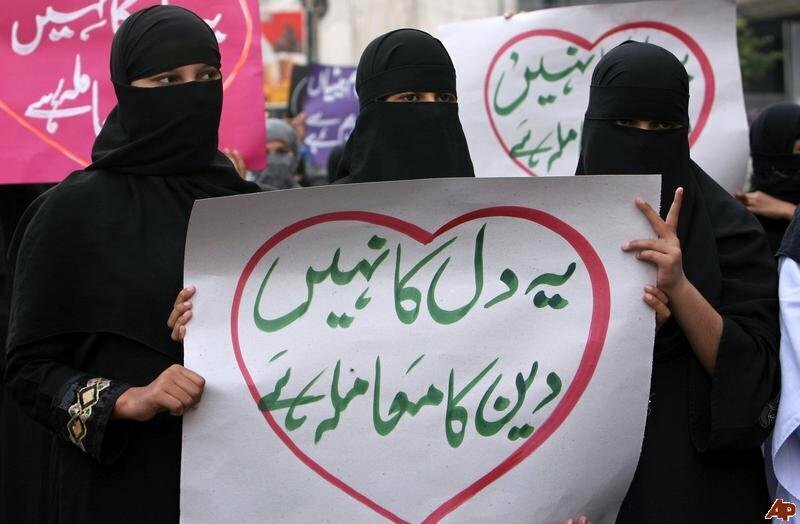 Last year in 2013, there were billboards having black heart sending message to the citizens to say “NO” to Valentine’s Day. 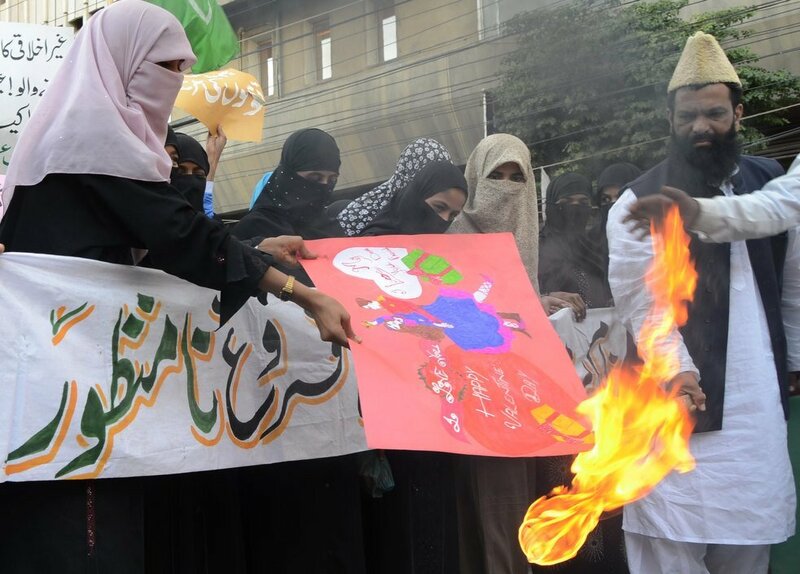 These billboards were put up by some affiliates of Jamaat-e-Islami. 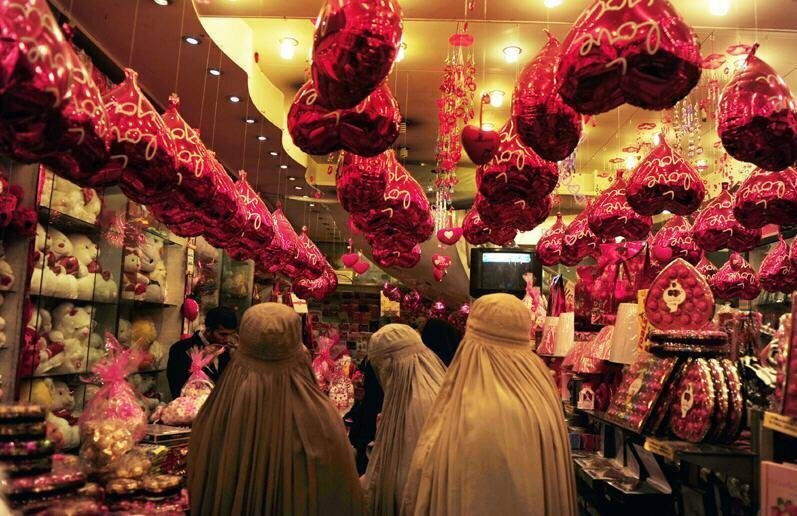 Valentine’s Day 2013 in Peshawar wasn’t much different. 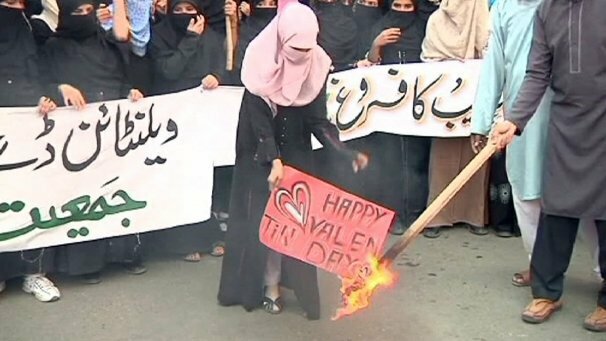 Some people burnt Valentine’s Day cards in front of live Television and there were women holding signs denouncing the Valentine’s Day. 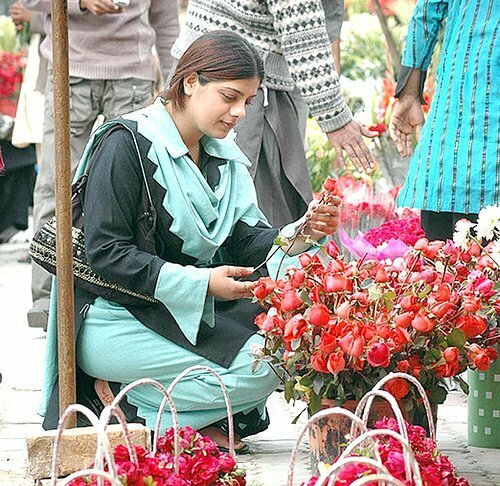 Valentine’s Day 2013 in Islamabad was very rewarding for hawkers and flower sellers as they made some real cash that day. 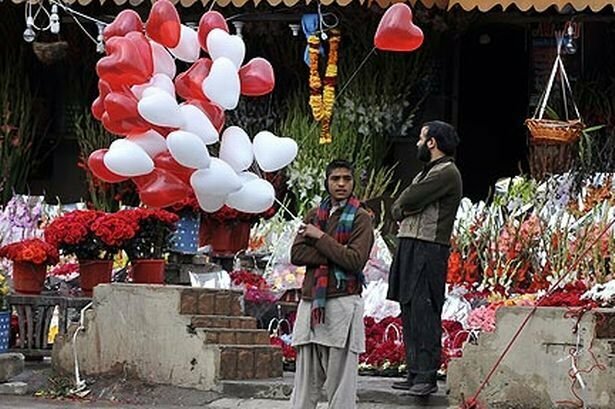 Like previous years, Valentine’s Day in Pakistan will be full of complications as most people are against celebrating Valentine’s Day. Yet there are certain people who love to celebrate this day and send gifts and Valentine cards full of love to their lover. 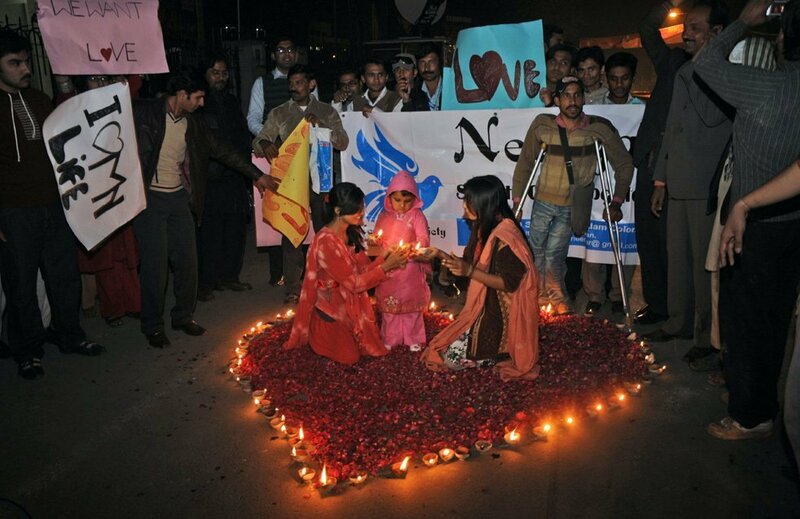 This trend is popular amongst Pakistani youth and young boys and girls meet with each other at dating points, give chocolates, flowers and gifts to each other. 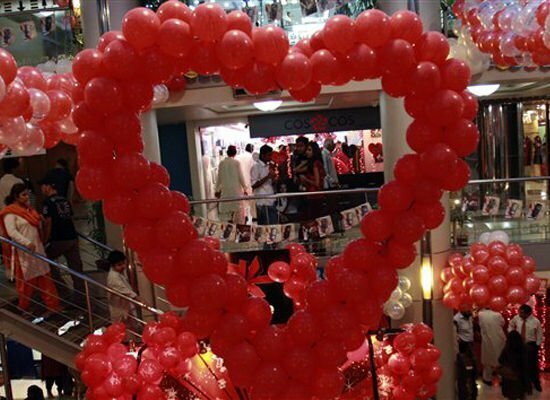 This trend is getting common in Universities every passing year as the boys and girls in Colleges and Universities dress red, arrange parties and exchange gifts that are in the shape of heart.